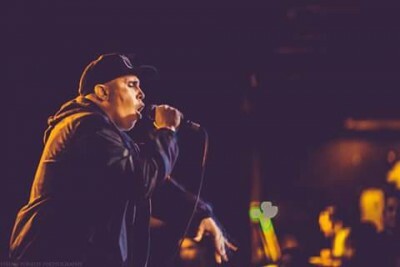 This week’s SLUG Soundwaves features local hip-hop artist Ryan Worwood, better known as Dusk or Dusk Raps. Dusk has been rapping for over 20 years and making beats for 10 years, and he is a lifelong visual artist. “We all only get so much time. I want to spend my time doing what I want to do … It passes by too quickly,” says Dusk. When everyone is out and partying, he’s at home by himself working on his art, whether it be visually or musically. If things don’t go smoothly in other parts of his life, he has the comfort of knowing that at least he’s got this part locked down, and that’s what’s important to him. When he finds himself getting scared, he knows that’s the time to get busy. Having to go through that uncomfortable learning curve is a part of the whole process and of growth. “There’s no substitute for time invested. If you really like something, what’s going to make it happen is really getting dedicated,” says Dusk. Dusk does whatever he can to be encouraging to others who are trying to pursue their own interests and recognizes that there’s no need to be completive when we should all be supporting each other. Dusk is performing on April 19 at Club X. Others on the bill include: King Magnetic & Ruste Juxx, Moe Hendrix, Black Socks, Clawson and DJ Intimin8. For more information on Dusk Raps and his beats, check out his Bandcamp at music.duskraps.com.